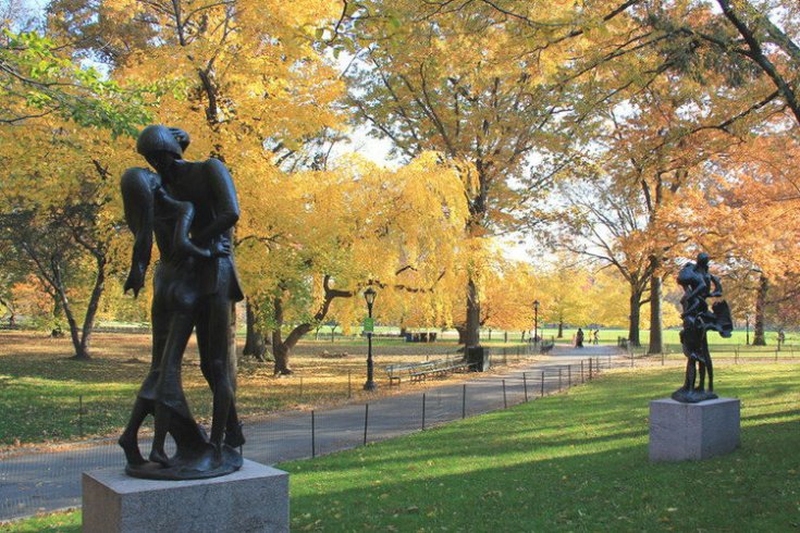 Located about 95 miles southwest of New York City, Philadelphia is a common location for many to travel to. If you are trying to get from New York City to Philadelphia, there are many different options that you can choose from. Considering the pros and cons of each of these options and then choosing the best transportation option for you is the best way to go about it. You may even be able to save more money by booking some of these options in advance. Philadelphia is an ambitious trip to travel in a day from New York City, but it is totally do-able. Traveling from New York City to Philly is easy and fast. 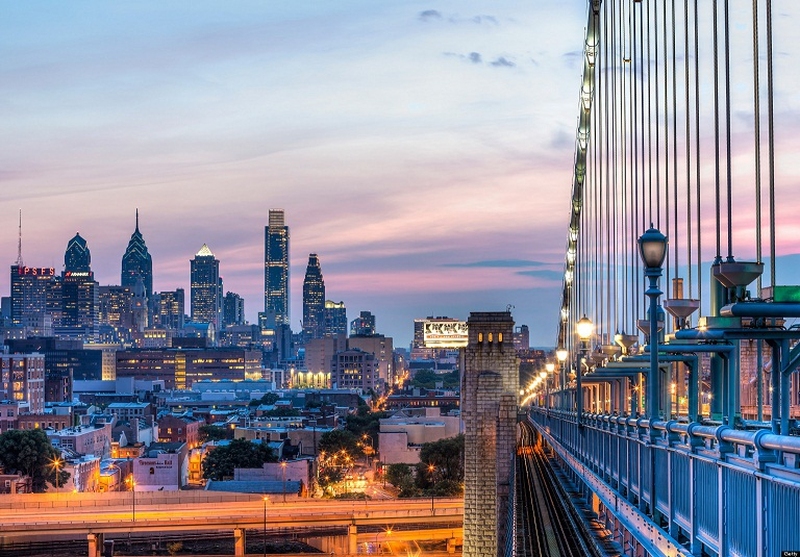 Whether you are commuting for work on a regular basis or hanging out in Philadelphia for the weekend or night, you need to know all of the options for getting there so you can choose the best form of transport for your timeframe and budget. Taking the train to travel between New York City and Philadelphia is a fast and low-stress option. Trains travel from Manhattan at Penn Station to the 30th Street Station in Philadelphia. The Acela service from Amtrak takes a bit more than an hour, while others take about an hour and a half. You can buy tickets ahead of time from the Amtrak website or get them in person at Penn Station. Fares will range between $75 -$160 depending on the schedule. If travel by rail is what you prefer but Amtrak is out of your price range, you can take the local SEPTA train right from Penn Station to New York. From here you will travel to NJ Transit’s light rail to Trenton, and it can travel to all major downtown stops in NJ, including Suburban Station, 30th Street and Market East. The total travel time is about two and a half hours and the whole trip costs just about twenty dollars each way, depending on what time of day it is. This will cost a little more than the bus, however is much less than Amtrak. You’ll get the advantage of riding the rails without bumps and traffic, but have more flexibility in departure times and stations than Amtrak. The fastest way to travel is of course by flying to Philadelphia, with the flight itself taking only an hour. This does not include, however, the time spent getting to and from the airport, getting through security, etc. With that said, shuttle flights from New York City to Philly could be cheaper than the train and run on a frequent basis. 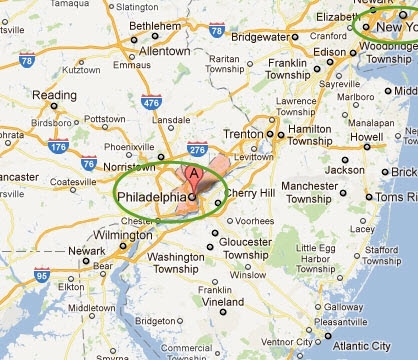 The closest and most convenient airport to downtown Philadelphia is the Philadelphia International Airport. From New York City to Philadelphia, bus service is an affordable and easy option for anyone visiting. The trip takes around two to three hours depending upon the traffic. Greyhound is the only company who leaves from within the Port Authority Bus Terminal, but other services will depart curbside. Make sure you know where your bus is departing from, so you can be at the right place at the right time. Some of the bus companies will have service from downtown Manhattan, too. Note: Keep in mind that buses often sell out, so make sure to book in advance by a few days. You can always choose to drive yourself from New York City to Philadelphia. The most direct route you could take through New Jersey taking the New Jersey Turnpike or on I-95 is around ninety-five miles. It doesn’t make a lot of sense for most visitors, since you won’t need a car in either of these cities and parking can be expensive and difficult. You should plan out about two and a half hours of travel time, but traffic and stops will add to your overall time. You can rent a car in Manhattan, but the rates will likely be cheaper at the airport.